CFCS’ Developmental Disabilities Program (DDP) coordinates over 10,000 hours of respite care and skills training annually for individuals with developmental disabilities and their families. Through direct care, as well as case management and information and/or referral services, DDP is assisting over 250 families in the greater Boston area manage and thrive in challenging circumstances. For people with developmental disabilities, completing daily tasks can sometimes require enormous effort. The parents, siblings, or family members of indviduals with developmental disabilities work tirelessly to keep their loved ones at home. These families are the experts in their situation, but sometimes need additional information and support. 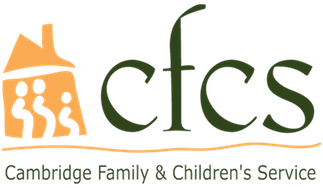 CFCS helps in providing individualized support services designed to meet the changing needs of individuals with disabilities and their families. We faithfully adhere to the philosophy of inclusiveness, ensuring that individuals with disabilities are fully integrated into the community. Our goals include helping maintain the family member with disabilities in the home and maximizing his or her potential to function independently in the community; helping to prevent inappropriate or premature out-of-home placement; supporting the integrity of the family as a unit; and empowering family members to make decisions about the care and services needed.